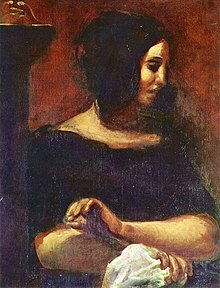 Amandine-Aurore-Lucile Dupin, baronne Dudevant (1 July 1804 – 8 June 1876), most famous under her pseudonym George Sand, was a French novelist and a pioneer of feminism. Art for the sake of truth, for the sake of what is beautiful and good — that is the creed I seek. It's not the first time I've noticed how much more power words have than ideas, particularly in France. Mais, fat impudent, tu ne veux pas qu'on te pardonne, tu veux qu'on croie ou qu'on prétende n'avoir rien à te pardonner. Tu veux qu'on baise la main qui frappe et la bouche qui ment. Letter to Pierre-François Bocage, (23 February 1845), published in Georges Lubin (ed.) Correspondance (Paris: Garnier Freres, 1964-95) vol. 6, p. 807; André Maurois (trans. Gerard Hopkins) Lélia: The Life of George Sand (New York: Harper, 1954) p. 292. Dans les jours orageux de la jeunesse, on s'imagine que la solitude est le grand refuge contre les atteintes, le grand remède aux blessures du combat; c'est une grave erreur, et l'expérience de la vie nous apprend que, là ou l'on ne peut vivre en paix avec ses semblables, il n'est point d'admiration poétique ni de jouissances d'art capables de combler l'abîme qui se creuse au fond de l'âme. Translation: The whole secret of the study of nature lies in learning how to use one's eyes. "The beauty that addresses itself to the eyes," she continued, "is only the spell of the moment; the eye of the body is not always that of the soul." Je n'appelle pas priere un choix et un arrangement de paroles lancees vers le ciel, mais un entretien de la pensee avec l'ideal de lumiere et de perfections infinies. By prayer I do not mean a chosen arrangement of words cast toward heaven, but a silent conversation with an ideal of luminous perfection." On Frédéric Chopin, in Oeuvres autobiographiques, edited by Georges Lubin, Vol. 2; Histoire de ma vie, p. 446. 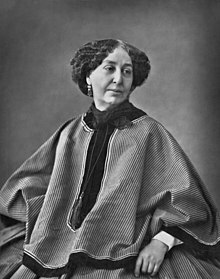 I [Jeffrey Kallberg] have modified somewhat the English translation printed in George Sand, Story of My Life: The Autobiography of George Sand, group translation ed. Thelma Jurgrau (Albany, 1991), p. 1109. 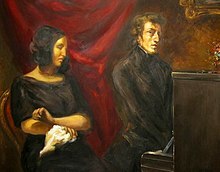 The chapter on Chopin dates from August or September 1854. 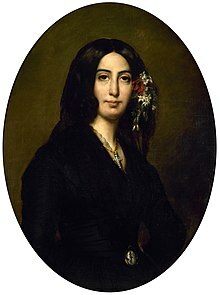 No part of George Sand's Memoirs is more interesting than the description of the development of her own genius. To remember the dreams and confusions of childhood, never to lose the recollections of the curiosity and simplicity of that age, is one of the gifts of the poetic character.